Can I Use My Softphone with a Phone Instead of a Headset? In previous Mom’s calling Q&A series, we have discussed: Polycom Phones vs Yealink Phones: What are the differences? Today, we have more new real questions and answers from VoIP users just like you. 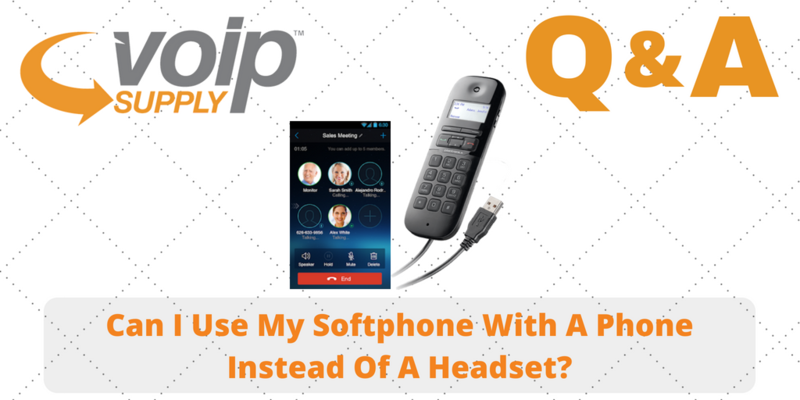 Q: I am looking for something that can work as a softphone, but am not interested in headsets as we are a patient facing aesthetics office. Our desktop skype for business (Teams) apps are set up as the controller for calls. I am looking for something that functions as a headset, but looks like a phone. A: Well, a softphone implies the use of a device other than a desk phone. It’s usually a laptop or a smartphone running an app. The only way to avoid a headset is using a speakerphone which can have suspect audio quality or background noise. You can consider the Plantronics Calisto P240-M, a portable USB handset for PC communications that has been optimized for Microsoft Teams.